To evaluate Gordian's effect, a small reference system was assembled, which included the same USB DAC/preamplifier that was used in the measurements, the Parasound HCA3500 power amplifier (connected to both Gordian's high power output sockets) and a laptop computer with its power supply/battery charger, used as the system's source. The system was evaluated twice, initially while powered directly from the mains and then while connected to Gordian. Most listening sessions took place with the filter set to auto. The usual pair of reference loudspeakers (ATC SCM-50PSL) were used. Installation of Gordian is a rather simple procedure and is made easier if you read the well-written user manual and the quick start guide. The first thing the user should check is the correct polarity of the device mains connection and the good quality of the ground path (both done via the corresponding menu option). Also, some care is needed to connect all the equipment correctly (i.e the live and neutral of each device to the corresponding live and neutral outputs of each Gordian output connector). This is not hard to achieve, though, since Gordian's "live" line is always at the right-placed contact of each socket. 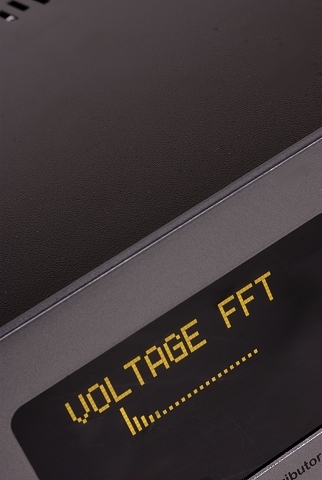 Gordian offers some functionality even before a device is connected to its outputs, since the analyzer provides an evaluation of the basic quality parameters of the mains, right after it is connected to it. 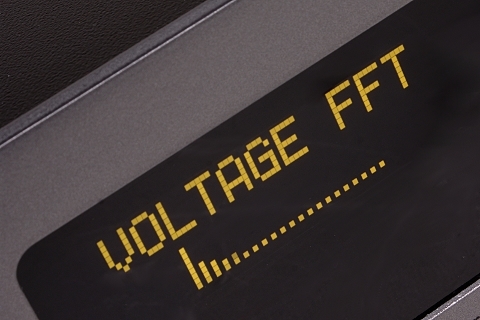 During everyday use, the voltage, current, frequency and power consumption is what you see first, but, also, the analysis of voltage and current waveforms and the level of high-frequency interference are also worth looking at, to have an overall estimation of the power conditions. For anyone willing to dig a little deeper, changing the filter topology allows Gordian to adapt to the noise that affects the system, in real time. A common mode noise enters the system in phase in both the live and the neutral lines with the ground line completing the noise loop through some form of capacitive coupling, while a differential mode noise source enters the system in series, being anti-phase between the "live" and the neutral lines. Noise suppression methods are different between the two modes and once a measurement is available in real time, one can probably isolate the noise source and turn it off, move the device affected or the noise source to a different mains phase (in a 3-phase power distribution network) or just use the appropriate filter topology to do the job. Powered directly through the wall-socket, the ad-hoc reference system used for this listening test, proved to be quite satisfactory. Its main attributes included a good sense of overall bandwidth, a feeling of a well controlled low-frequency region and a good ability for bass-detail description. Without being particularly impressive, its midrange sounded homogeneous, perhaps with a slight bias towards a soft but luminous character while its high frequencies appeared well-extended, with sufficiently fast attack times and could be described as somewhat thin-bodied and slightly overdamped. The result, as a whole, was a bright and slightly dry but not unpleasant sound character. The system appeared fast enough to ensure good microdynamics and its low noise combined with Parasound's drive capacity have ensured good macrodynamics. Stereo imaging was, also, quite satisfactory, with a wide soundstage, good perception of depth and sharp sound source focusing, slightly behind the horizontal axis connecting the two loudspeakers. When the system was powered through the Gordian filter, a number of changes were perceived which, although small (sometimes very close to being indistinguishable), were nevertheless significant. A first impression was that the system gained in discipline and that the stereo image became even more clearly defined in space, moving towards the listening position. By comparison, the system with the filter included sounded more accurate, with more air between the audio objects and was, in general, more transparent and with a higher capacity to pass the details present in the recording through the loudspeakers. Improvements were, also, observed regarding the system's tonal balance, both in the lower and the high part of the audio spectrum. Lows appeared somewhat more impressive, comfortably filling the space without any hints of excessiveness but graciously emphasizing the rhythm section, while, in the high-frequency range, the system sounded more lively, with better performance in decay and release times, less dryness and with a better sense of size-scaling and transparency. A conclusion anyone can reach, given the above, is that the differences were small (you can always try to playback the listening session recordings offered at the end of this page), but surely there is a net gain. This gain probably depends on the magnitude of the problems that the local power network suffers from. If conditions are worse, quite possibly the differences are to be wider and clearer. What is equally important, at least in my opinion, is that the Gordian offered an improvement in any case, allowing the system to approach the sound attributes that I am used to from the reference system, without casting any suspicions that the filter flaws the performance at any point. This, justifies Lab12's adaptive approach, which avoids to "overload" the power supplies that follow with non-necessary filters and, also, means that decisions made by the algorithm relative to the filters setting are generally correct, leading each time to the best possible result. If there is something better than a device that functions as promises, it is an inspired and pleasing to use a device that functions as promises. 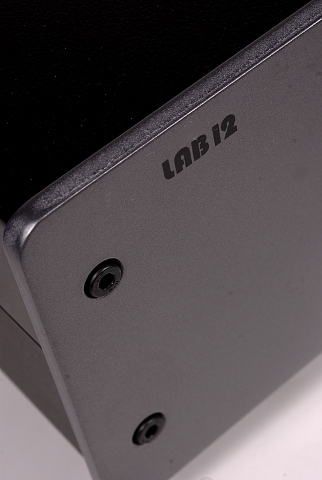 The later clearly describes Gordian, which, although basically a power filter, through Lab12's approach it is transformed from a dull, often forgotten behind-the-rack add-on to an interesting and interactive part of the system which offers both a tangible sound improvement and an objective power quality analysis. If you have a middle or upper-class sound system or you are living in an area with questionable mains quality, the price asked is justified by the possibilities Gordian offers. Highly recommended!